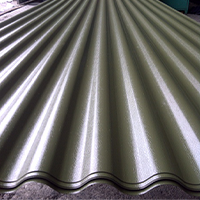 Corrugated roof sheets (also known as roof cladding) has been installed on buildings for many years and, due to its very easy installation process and excellent protective qualities, it still proves incredibly popular today. 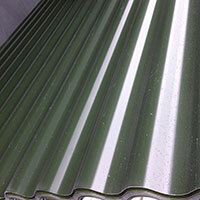 At Bushbury Cladding Ltd, we manufacture and supply full prime British steel galvanised corrugated roof sheets to contractors, businesses and the domestic sector. Bushbury Cladding Ltd understands that jobs will vary in size and requirements, which is why we offer no minimum order or surcharge. We can meet your corrugated metal demands for anything from the smallest of jobs to the biggest of projects, so please do not hesitate to ask us how we can help with your next project. Our corrugated metal products are available with a thickness or gauge of 0.5mm and 0.7mm and are available in a variety of finishes. 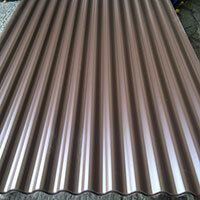 Benefit from having your corrugated roof sheets cut to any length up to 6m. 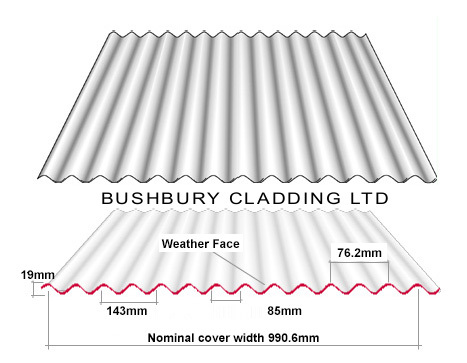 At Bushbury Cladding Ltd, we can also provide you with flashings to match your sheet colour and fixings with colour-coded caps. The roofing design & style is perfect for use on agricultural buildings, domestic premises, fencings, temporary roofs and much more. Bushbury Cladding Ltd offer a free cutting service for our roofing sheets, allowing us to supply materials designed to completely meet your requirements. When it comes to the quality of our products, we simply cannot be beaten. 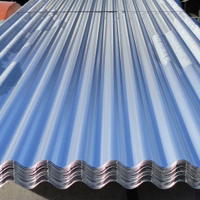 Our corrugated roofing sheets provide an effective cover width of 990mm; however we can also supply a narrow corrugated metal sheet depending on your preferences. PVC PLASTISOL: Slate, Van Dyke Brown, Juniper Green, Black, Goosewing Grey, Terracotta, Merlin Grey, Olive Green, Plus Many More... Please Ask'. 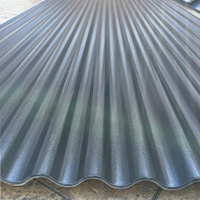 We also offer a wide range of corrugated roof lights, otherwise known as GRPS, that are specifically designed to match our custom made roofing sheets, all of which are manufactured to a standard 3mm profile from the top of the lip to the bottom (or peak to peak) and cover 1m when fitted. If you wish to discuss specific requirements for your corrugated metal order, please do not hesitate to call our office and speak to one of our friendly, knowledgeable team members. 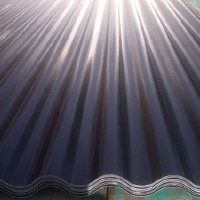 Corrugated roofing sheets are exceptionally popular in a variety of different industries, and if you want to start enjoying the benefits of quality corrugated roofing, contact Bushbury Cladding Ltd today. We can send you colour samples free of charge and offer you any advice you may require for your project. For more information, call us today on 01902 229412 or send us an email. Alternatively, you can take advantage of filling out our quick and simple online contact form and we will get in touch as soon as possible.